^ 1.0 1.1 1.2 1.3 Porcupine Tree (Review/Interview). Aural Innovations. [2007-01-07]. ^ 2.0 2.1 2.2 The Dutch Progressive Rock Page. [2007-01-07]. ^ 3.0 3.1 3.2 3.3 Porcupine Tree - Background. porcupinetree.com. [2007-05-15]. （原始内容存档于2008-04-10）. ^ Steven Wilson -The Complete Discography (6th Edition), p. 20 (PDF). [2007-05-15]. ^ Delerium Records: Porcupine Tree - Up The Downstair. [2008-04-18]. （原始内容存档于2007-08-26）. ^ 6.0 6.1 "MusicPlayers.com: Features > Guitars > Steven Wilson. [2008-04-08]. ^ Porcupine Tree - Discography. porcupinetree.com. [2008-04-06]. （原始内容存档于2008-04-05）. ^ Record Collector November 1996, issue 207. [2007-01-07]. （原始内容存档于2006-11-14）. ^ 9.0 9.1 DPRP : Counting Out Time : Porcupine Tree - Stupid Dream.. The Dutch Progressive Rock Page. [2008-07-16]. ^ 11.0 11.1 Specials - Steven Wilson Interview. The Dutch Progressive Rock Page. [2008-04-07]. ^ 12.0 12.1 12.2 12.3 Porcupine Tree. Free Williamsburg. [2008-04-13]. ^ 2004 Surround Music Award Winners and Exclusive Report. [2005-09-05]. （原始内容存档于2005-03-15）. ^ 14.0 14.1 Porcupine Tree - Complete Tour History. porcupinetree.com. [2008-04-02]. （原始内容存档于2010-07-26）. ^ Billboard Peak Position of 'Shallow'. [2007-01-07]. （原始内容存档于2008-04-11）. ^ Porcupine Tree - Lazarus - Music Charts. αCharts.us. [2007-01-21]. ^ "Four Brothers (2005) - Soundtracks. IMDb. [2008-04-02]. ^ Surround Expo 2005. 2005-12-15 [2005-12-15]. （原始内容存档于2005-12-14）. ^ S&V 2005 Entertainment Awards. February 2006 [2006-01-24]. （原始内容存档于2007-11-22）. ^ News: Porcupine Tree Unveil Fear Of A Blank Planet in NYC!. Sea of Tranquility. [2007-01-26]. ^ Porcupine Tree - Fear Of A Blank Planet - Music Charts. αCharts.us. [2008-04-06]. 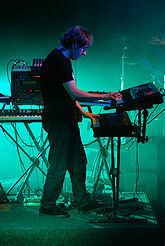 ^ Billboard.com - Artist Chart History - Porcupine Tree. [2008-04-07]. ^ Hurricane Festival 2007 Lineup. [2007-03-17]. （原始内容存档于2007-06-29）. ^ Southside Festival 2007 Lineup. [2007-03-17]. （原始内容存档于2017-12-02）. ^ Download Festival 2007 Lineup. [2007-05-14]. ^ DPRP Specials - Porcupine Tree - Interview 2008. The Dutch Progressive Rock Page. [2008-04-05]. （原始内容存档于2012-02-18）. ^ Porcupine Tree's Wilson Talks Complex New LP, Project With Opeth's Akerfeldt. MTV News. 2007-03-23 [2008-04-12]. ^ 31.0 31.1 Interview with Steven Wilson at ProgArchives Forum. 2007年4月 [2007-05-08]. ^ BBC - Radio 1 - Chart Show. BBC Radio 1. 2008-02-24 [2008-03-03]. ^ The Seaweed Farm: Nil Recurring on Peaceville Records. [2007-11-25]. （原始内容存档于2012-07-19）. ^ "Classic Rock - Oh, what a night!". 2007-11-06 [2008-04-08]. （原始内容存档于2007-12-14）. ^ GRAMMY.com - 50th Annual GRAMMY Nominations List. 2007-12-06 [2007-12-06]. （原始内容存档于2007-12-08）. ^ DPRPoll 2007 Results. [2008-04-05]. （原始内容存档于2008-04-02）. ^ The Seaweed Farm: Nil Recurring and We Lost The Skyline released today!. [2008-02-18]. （原始内容存档于2012-09-27）. ^ The Seaweed Farm: We Lost The Skyline vinyl edition. [2008-03-21]. （原始内容存档于2012-07-22）. ^ Bitstream: PTree in action, Crimson in surround!. Sound and Vision. 2008-01-22 [2007-03-30]. （原始内容存档于2008-02-01）. ^ Imhotep - Interviews/Articles - PORCUPINE TREE - COMMUNICATION?. 2008-02-27 [2008-04-24]. ^ Porcupine Tree - News. 2008-06-05 [2008-06-23]. （原始内容存档于2008-06-04）. ^ New Porcupine Tree Album in 2009. 2008-10-20 [2008-11-22]. （原始内容存档于2008-12-05）. ^ Porcupine Tree - News. 2008-12-16. （原始内容存档于2008-06-04）. ^ The Incident. Porcupine Tree. 2009-06-12 [2009-06-15]. （原始内容存档于2008-06-04）. ^ Porcupine Tree interview (01/2008). Metal Storm. 2008-01-01 [2008-04-07]. ^ 46.0 46.1 A interview with Steven Wilson regarding Bass Communion, by Geoff Kieffer - Steven Wilson Headquarters. 2004-02-10 [2008-04-10]. （原始内容存档于2008-04-30）. ^ Alternative-Zine.com - Interviews - Porcupine Tree lead guitarist/singer/songwriter Steven Wilson. 2007-06-26 [2008-04-07]. ^ Interview: Steven Wilson (Porcupine Tree). Rock Eyez. 2005-05-12 [2008-04-07]. ^ Innerviews: Porcupine Tree - Shadows and light. [2008-04-08]. ^ Innerviews: Porcupine Tree - Cinematic catharsis. [2008-04-08]. 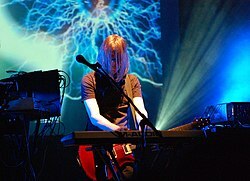 ^ "KNAC.COM - Features - Interview With Porcupine Tree's Steven Wilson. 2005-06-25 [2008-04-11]. ^ Steven Wilson's MySpace. [2008-04-11]. ^ Porcupine Tree In Absentia DVD-Audio - Steven Wilson Interview. HighFidelityReview.com. 2004-03-07 [2008-04-08]. （原始内容存档于2008-04-04）.